Lara Schilling is a second-year M.A. student at Bard Graduate Center in New York City, and holds a B.A. in Comparative Literature from Barnard College. She had the wonderful opportunity to assist Professor Hanna Hölling with the development and execution of Revisions—Zen for Film. Hanna Hölling speaks with Scholars’ Day participants inside the exhibition. Courtesy of Bard Graduate Center. Accompanied by a robust digital interactive and a publication of the same name, Revisions—Zen for Film fosters broad reflection on conservation and curatorial approaches to multimedia artworks and installations, explored by Hölling and her students from 2013-2015 through coursework, site visits, and the exhibition-making process. The symposium commenced with Scholars’ Day, a closed event that took place in the Focus Gallery and gathered international scholarly and curatorial voices to critically engage with the concepts of the exhibition. With the participation of Barbara London, Mona Jimenez, Christiane Paul, Gregory Zinman, Michael Mansfield, Ben Fino-Rodin, as well as the symposium speakers, Scholars’ Day generated interesting discussions and synergetic exchanges about and beyond the topic of Paik’s media installations. Scholars’ Day. From left to right: Caroline Hannah, Ivan Gaskell, Hanna Hölling, Glenn Wharton, Barbara London, Marianne Lamonaca. Courtesy of Bard Graduate Center. Hölling delivered the introductory remarks at the symposium, situating the ongoing transformation of conservation and curatorial discourse in the innovations of the 1960s, when new modes of artistic expression articulated through Fluxus activities, happening, performance, video, experimental film and media art emerged, continually prompting “a rethinking of those museological paradigms that assume fixity and stasis.” To illustrate, Hölling recounted three distinct personal encounters with Zen for Film over the last five years: as a 16mm film projection at Museum Ostwall in Dortmund; a digital projection at Tate Liverpool; and as a leftover of an earlier presentation—an acetate film strip housed in a metal canister. The implications of each distinct iteration speak to contemporary musealization of Fluxus artworks, the status of performance works’ ‘afterlives,’ the liminal place of experimental film between visual and cinematic cultures, and the role of conservation and curation in enabling the continuity of inherently changeable works. 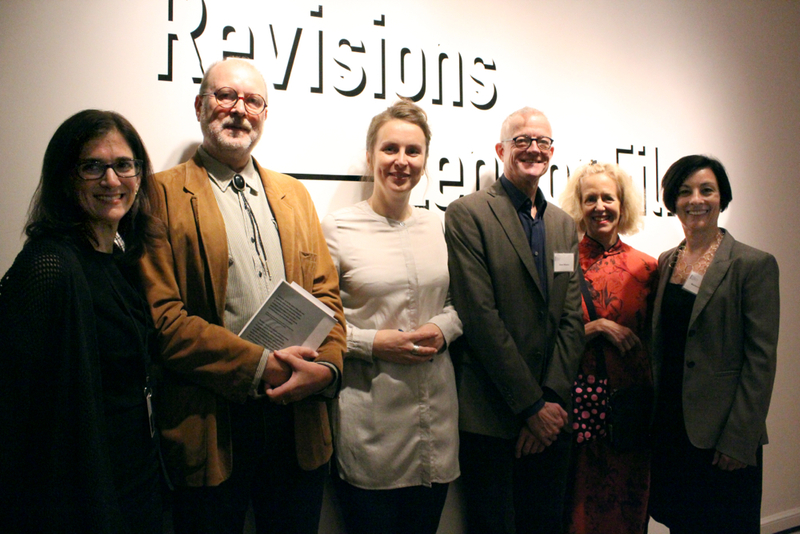 These issues provided rich fodder for discussion and debate among symposium speakers, who contributed insights on artwork display and stewardship from their own work in the visual and performing arts, film, media, curatorial, and conservation studies. Glenn Wharton’s paper, “Between Objects and Performance: Translating Artworks at the Contemporary Art Museum,” addressed the reconfiguration of installation, performance, and media art for exhibitions. Some of these works were not originally intended to be variable, but new circumstances—such as technological obsolescence, decay, and reinterpretation—provide impetus for altering how the public encounters them. To illustrate, Wharton discussed the complex process of cataloging the Gilbert and Lila Silverman Fluxus Collection at the MoMA, which required the migration of a number of fragile film-based works. In this case, identification of the works could only be achieved through their activation. Wharton also discussed the conservation of Nam June Paik’s Piano Piece (1993), whereby the work’s original floppy disk players were exchanged for mp3 players, but remain attached to the piano as deactivated—now solely sculptural—components. Hanna Hölling delivers opening remarks at the symposium. Courtesy of Bard Graduate Center. Hannah Higgins took to the podium after lighting a single taper candle, engaging the audience in a presentation addressing the complexities involved in reperforming artworks. Entitled “Reperformance: A Typology,” Higgins’ talk was both poetic and serious. Criticizing the ghostly “reperformance as art history”³ paradigm, manifest in the 2007 presentation of Allan Kaprow’s 18 Happenings in 6 Parts at Deitch Projects, as well as Maria Abramovic’s reperformance of The Artist is Present at the MoMA in 2010, Higgins argued for reperformances that embrace the contemporary context of their staging. Her discussion of three distinct reperformances of Tania Bruguera’s Tatlin’s Whisper #6 (Havana Biennial, Cuba, 2009; Neuberger Museum, SUNY Purchase, 2010; Times Square, New York, 2015) revealed a broad, and open, range of interpretations that are nonetheless faithful to the original score. The afterlives of performances need not become static or fixed: re-embodiment, change, and recontextualization are requisites for continuity. 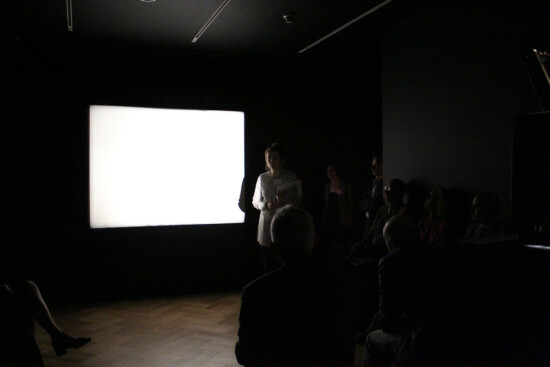 Sarah Cook’s paper, “Restart: A Curatorial Perspective on Generative and Variable Media Art Works,” involved discussion of a wide range of instruction-based artworks that are activated via both human and non-human factors. These factors—be they environmental or technological—contribute to an exhibited artwork’s “feedback loop,” which is composed both of the variable systems accounted for by the artist, as well as those outside of the artist’s control. What becomes clear in a few of the systems-based works Cook discusses—by Heath Bunting and Scott Rogers, among others—is that artworks’ durations can be radically variable, and that instruction itself might be localized in an array of sites, including the artist’s feedback system i.e. the installation; the actions of the artist i.e. the performance; the participation of others (networked); or in the prescribed code. Andrew V. Uroskie rounded out the day with a discussion of expanded cinema and its critical, haptic qualities. His paper, entitled “Philosophical Toys: Marcel Duchamp, Robert Breer and the Problem of the Moving Image for Institutions of Postwar Art,” explored the 1955 Le Mouvement exhibition in Paris as an early turning point in the emergence of postwar art practice, focusing on Robert Breer’s hybrid sculpture-cinema “mutoscopes.” Breer’s works emphasize the role of the human hand in propelling but also revealing the illusion of cinematic movement. The panel discussion. From left to right: Glenn Wharton, Hannah Higgins, Hanna Hölling, Sarah Cook, Andrew V. Uroskie. Courtesy of Bard Graduate Center. The panel discussion allowed many interesting connections to be drawn between the speakers’ presentations, inviting audience participation and igniting lively discussions, many of which continued upstairs at the reception dinner for symposium speakers, the Focus Gallery team, and Hölling’s students. The dinner was both a celebration and a farewell, marking the end of Hölling’s tenure at Bard Graduate Center and her new position as research fellow at the Max Planck Institute for the History of Science in Berlin. 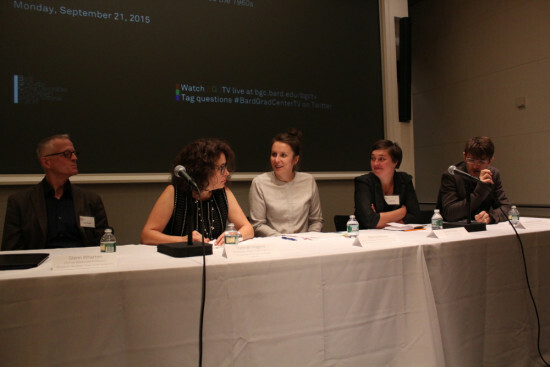 By bringing together a broad range of international scholars working in the visual and performing arts, film, media, curatorial, and conservation studies, Bard Graduate Center’s symposium “Revisions: Object—Event—Performance since the 1960s” helped further interdisciplinary dialogue regarding important contemporary issues in the ongoing musealization, conservation, and curation of multimedia artworks. Hanna Hölling, “Zen for Film: Object, Event, Performance, Process” (presentation, Symposium—Revisions: Object—Event—Performance since the 1960s, New York, NY, September 21, 2015). “Revisions–Zen For Film,” Bard Graduate Center, accessed October 13, 2015, http://www.bgc.bard.edu/images/content/1/6/16766.pdf. 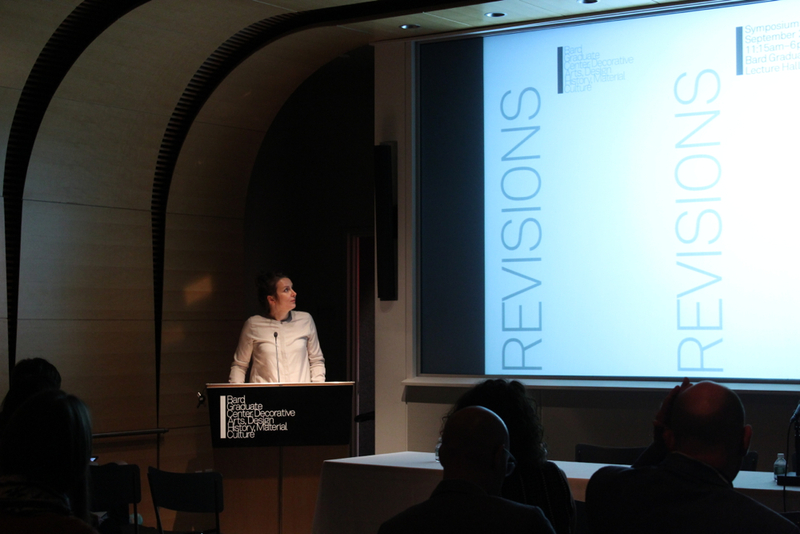 Hannah Higgins, “Reperformance: A Typology” (presentation, Symposium—Revisions: Object—Event—Performance since the 1960s, New York, NY, September 21, 2015). Revisions—Zen for Film is on view at Bard Graduate Center until January 10, 2016. The exhibition catalogue is available through Bard Graduate Center and the University of Chicago Press.